An Emoji is worth more than 1,000 Words. Here’s Why. Let’s face it. Emojis work. Everyone gets them; including your grandmother. For that matter, scientists say that emojis are the digital version of expressions used in a face to face conversation. Emojis have become ubiquitous. They have turned to become a language in itself and is the fastest growing language in Britain. 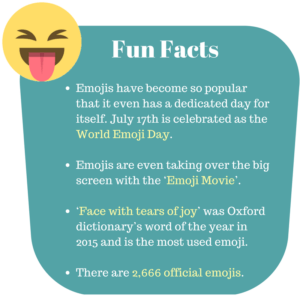 Believe it or not, more than 60 billion emojis are sent on a daily basis! We are in an era in which 92% communicate through emoticons than relying on plain text. Emotions as we know, has the power to influence a buyer's intent to buy. Marketing by now might have realized that in the end, it is all about evoking the right emotions and creating a badass experience. Having said that, what better than emoticons to express yourself better! Marketing for millennials for instance, calls for a different approach. When it comes to emojis, though millennials use it every now and then, every age group uses emojis to communicate better. 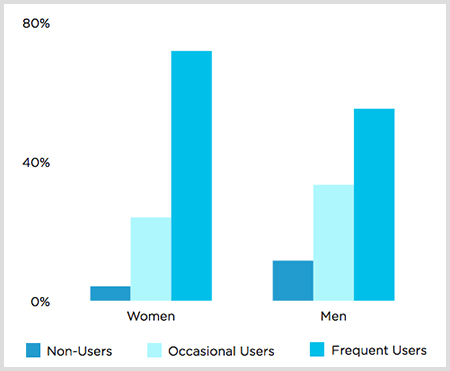 While it is observed that women use emoji more frequently than men. When we first rolled out banner images in March, our users were thrilled to experiment with it. It turned out to be not only a feast for the eyes, but also a click magnet. 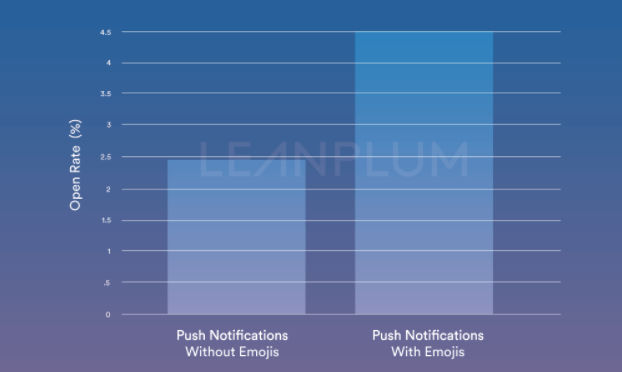 This is the precise reason why we have extended the capability to add emoji in push notification. A 775% increase in emoji usage in marketing messaging shows that emojis are the way to go. You need to adapt the new ways of communication to be able to engage your users effectively. 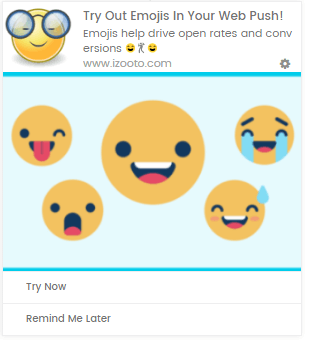 How can I add emoji in push notification using iZooto? 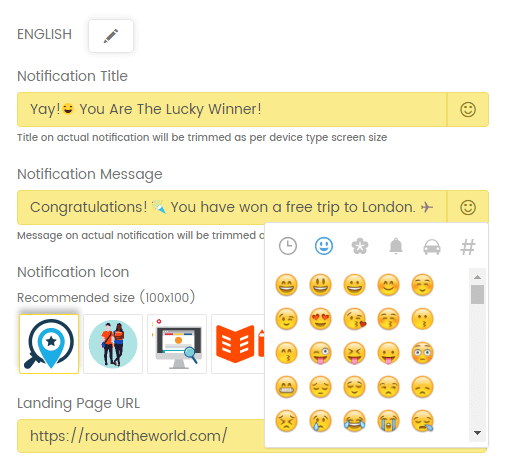 In the title of your web push notification - Now emojis are utilized to spark interest and engage users. In the body (message) of the notifications - Describe better by adding the right emojis and encourage them to revisit your site. How can emoji in push notification help? You no longer have to search for icons online. 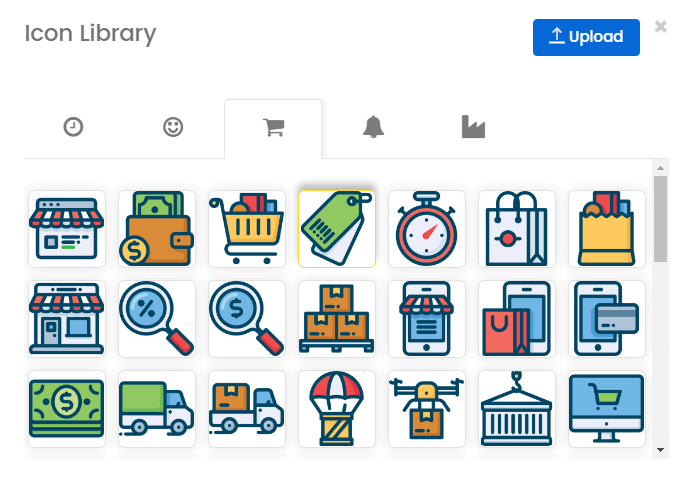 Now choose from a variety of icons right from the iZooto's icon library. It is faster, quicker and easier. If you have something specific in mind, you can always upload the icon of your choice. P.S - the icon size limit is now 20KB. iZooto's web push notifications now support 23 languages! Now it is easier to give your push notifications a personal touch and connect with your users better. New additions include - Greek, Serbian, Sinhalese, Nepali, Persian and Amharic. Users are gravitating towards emojis. What are you waiting for!